for $479,000 with 3 bedrooms and 2 full baths. This 1,848 square foot home was built in 1968 on a lot size of 36. 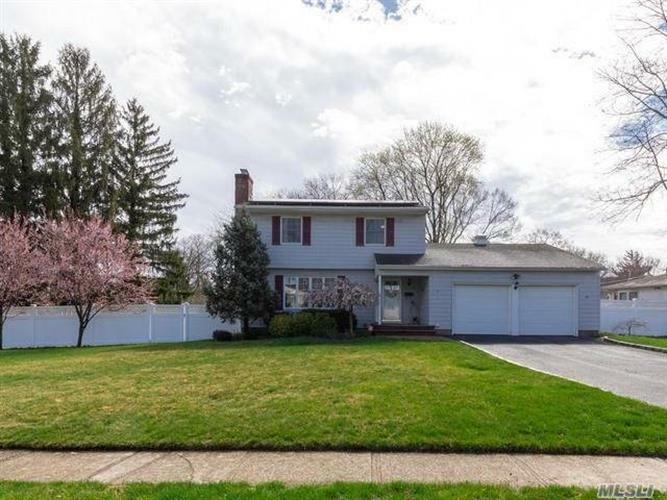 Beautifully maintained Colonial on .36 acre.Updated Baths and kitchen.Spacious family room with wide plank flooring and entry to screened in porch .Eat in Kitchen , Formal DR, Living room with Fireplace . Main floor full bath. Hardwood Flooring, Central Air conditioning, Landscaped yard w/ In-ground Sprinkler system, Gas hot air heat.Full basement.1.5 Attached garage.Vinyl siding , Vinyl fenced yard. Solar panels with Vivint Solar for reduced electric bills. Smithtown schools.